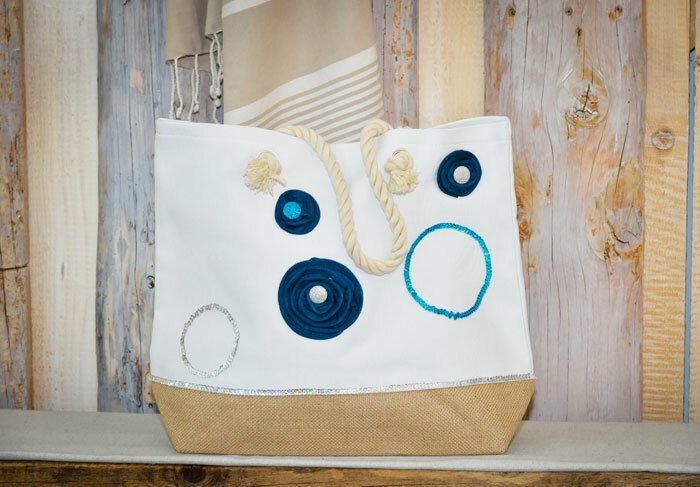 Create your unique beach bag with sequin cords and Noodles. The bag is not only an eye-catcher but also offers enough space for all your beach accessories. Gemstone glue, sewing silk in white and turquoise, sewing needle, scissors, circle templates diameter 10 cm, 6.5 cm and 5 cm, pencil, iron.